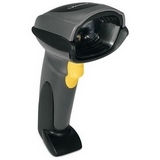 Motorola DS6707 SR Bar Code Reader [DS6707-SRBU0100ZR] - $402.43 : Dealpops.com, Good deals are keep popping up! "Manufacturer: Motorola, Inc Manufacturer Part Number: DS6707-SRBU0100ZR Manufacturer Website Address: www.motorola.com/us Brand Name: Motorola Product Series: DS6700 Product Model: DS6707 SR Product Name: DS6707 SR Bar Code Reader Marketing Information: The versatile DS6707 Standard Range Bar Code Reader from Symbol Technologies delivers the functionality of a 1D and 2D bar code scanner, digital camera and document scanner in a single device. Designed to meet a wide variety of business needs across a variety of industries, the DS6707 SR enhances employee productivity and streamlines business processes in retail, healthcare, government, manufacturing and more by combining an onboard 1.3 megapixel camera with high performance scanning features and superior digital imaging technology. Product Type: Handheld Bar Code Reader Connectivity Technology: Wired Bar Code Dimension: 1D, 2D Image Sensor: Imager Host Interface: Multi-interface Color: Black Dimensions: 6.55"" Height x 2.82"" Width x 4.72"" Depth Weight (Approximate): 6.40 oz Package Contents: DS6707 SR Bar Code Reader, 7ft USB Type A Straight Cable Green Compliance: Yes Green Compliance Certificate/Authority: RoHS "